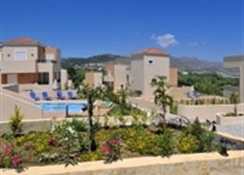 The villas are located in Skoutelonas, a quiet area with rich nature surrounded by lush gardens and trees. The fishing village of Kolymbari is only 1.5 km away and it offers numerous restaurants and bars. 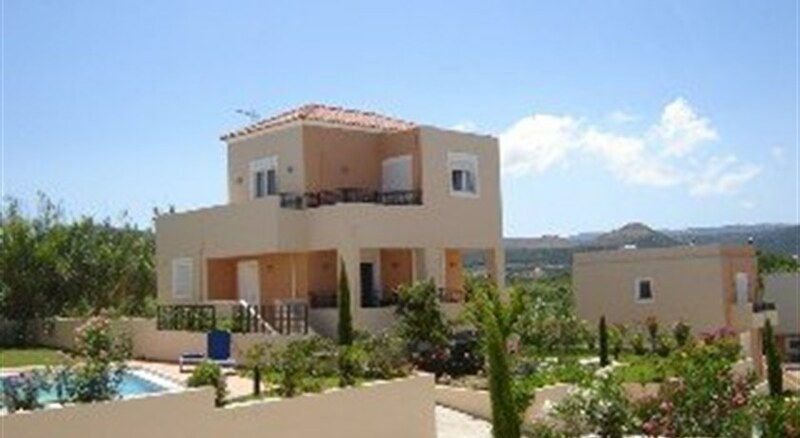 The picturesque town of Chania is 20 km away, Platanias is some 8 km away and it is around 35 km to Chania Airport.--This modern finca comprises 8 villas. Garden terraces surround the buildings and there are parking spaces available.--The villas are luxurious, spacious and well-lit. They are decorated in bright colours and equipped with modern facilities, such as an en suite bathroom with shower, a private balcony or a terrace, individually regulated air conditioning and heating and a kitchen with fridge, cooker, microwave, tea and coffee making facilities and a washing machine. 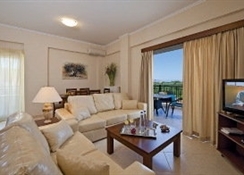 A hairdryer, TV, safe, wireless Internet access, a double bed and an ironing set also feature in all rooms as standard. Each villa also has its own private swimming pool.--There is a nearby sandy/pebble beach.--The finca offers all-inclusive packages.